Available for 230V and for 24V. 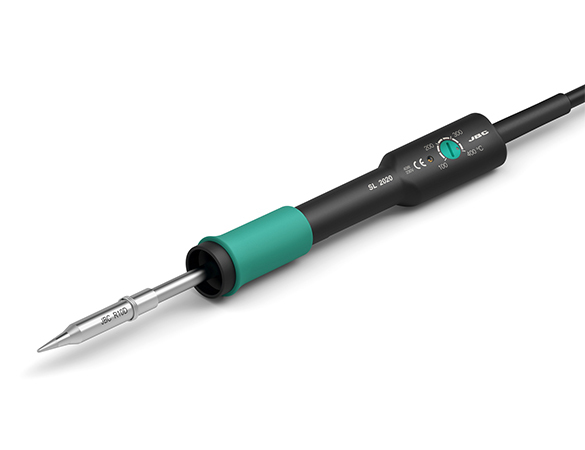 These soldering irons enable solder wire to be fed through as necessary, thus freeing the hand that normally holds the solder wire when soldering. They allows you to increase the quantity of production and reduce costs. 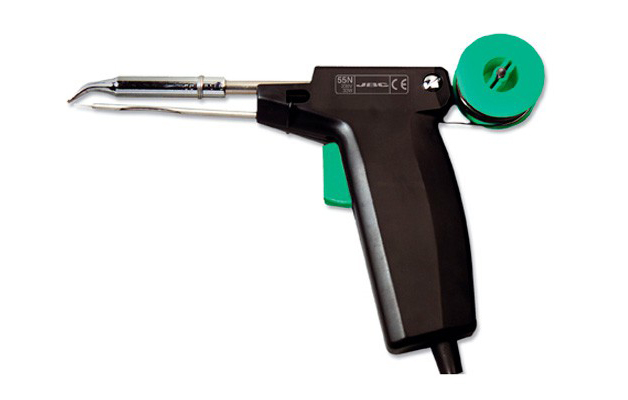 These soldering irons come with lead free Solder Reel SN5450 fitted. Designed for 1mm solder wire diameter and supplied with C-20D (0550509) long life soldering tip. There are different tips with different shapes and sizes available to satisfy your needs.